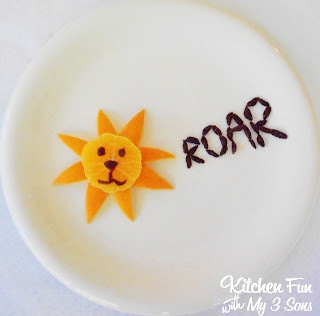 Here is a really easy Lion Fruit Snack that we made using a Clementine and Raisins. All you do is cut a clementine in half. Pull the peel off (clementine’s are very easy to peel). Cut the peel with kitchen scissors to make the hair and put them under the clementine…pointed sides out. Take a hand full of raisins and cut a few in half to make the lion’s face. We shaped the other raisins to say Roar! 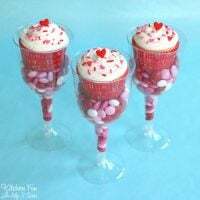 Valentine Cupcakes served in Plastic Wine Glasses and filled with Candy! i love how cute and simple!!! cute. I totally love it. wow!!! so creative and looks like fun. i love your blog and so glad i have found it! stopping by from the hop and your new follower via GFC. Would love if you can check out and hopefully follow :)my blog! Just stumbled across your blog from a link party. 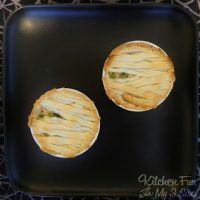 I love all of these creative ideas for snacks! I have a 14 month old son and can't wait to make some of these for him. So cute … and healthy! This is darling- I would never have thought to do something like this! So cute! Thanks for sharing the idea. So cute! I'll have to try that with the boys. 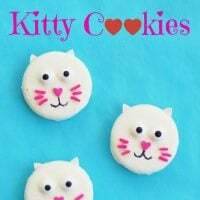 You always come up with the cutest treats! Thanks for sharing! You make my kids smile!